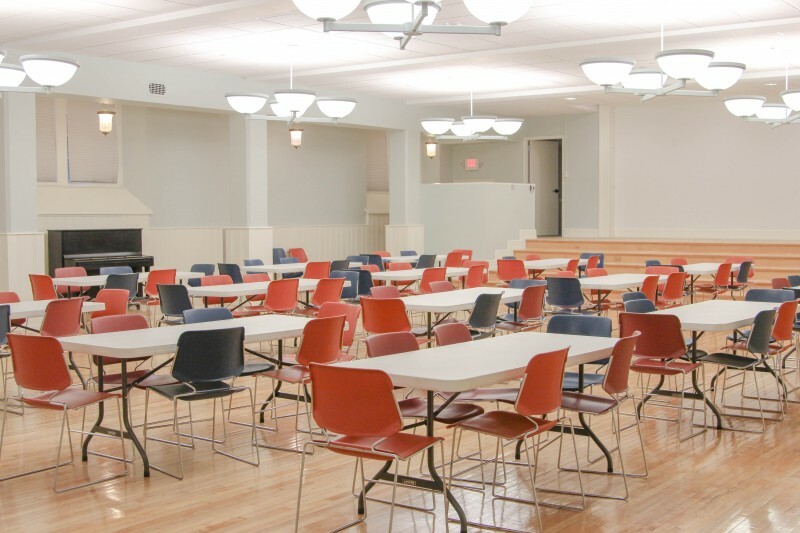 First & Central Presbyterian Church undertook a major renovation and repurposing of its main kitchen, social hall, and stage area in 2015 and contracted with BPGS for construction management and general contracting. 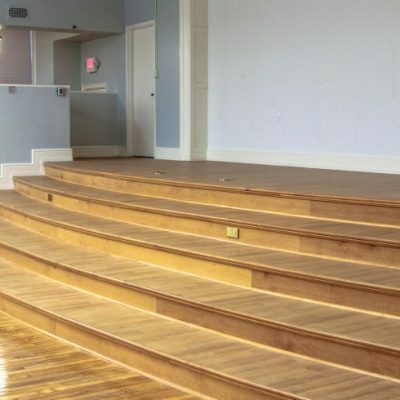 Given that a significant portion of the space had not been disturb since the building was constructed in 1929, the church was especially concerned that the contractors had appropriate experience and expertise with older buildings. 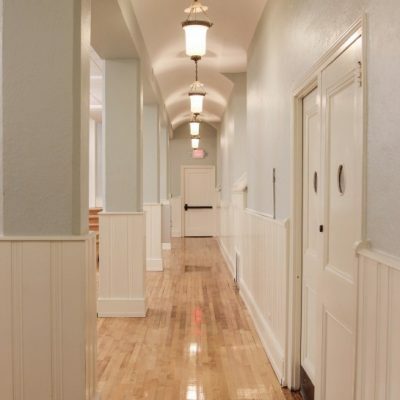 A good example of that is, due to the scope of work, a new exit was required to satisfy current fire codes and the church decided to expand that concept from a simple exit to a grand new entrance with a glass enclosed vestibule. It was to be a modern addition that blended with classic Georgian architecture. 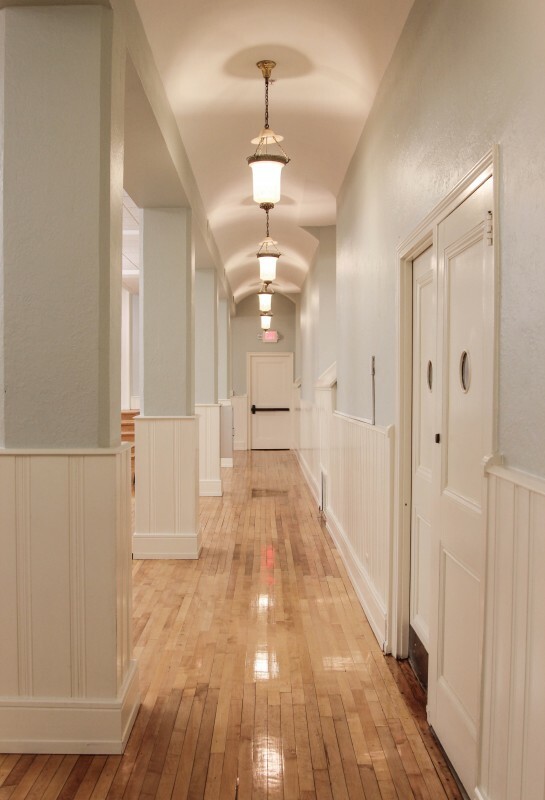 Again, merging contemporary materials with 90-year-old construction required that depth of experience and historical sensitivity that BPGS embodies. 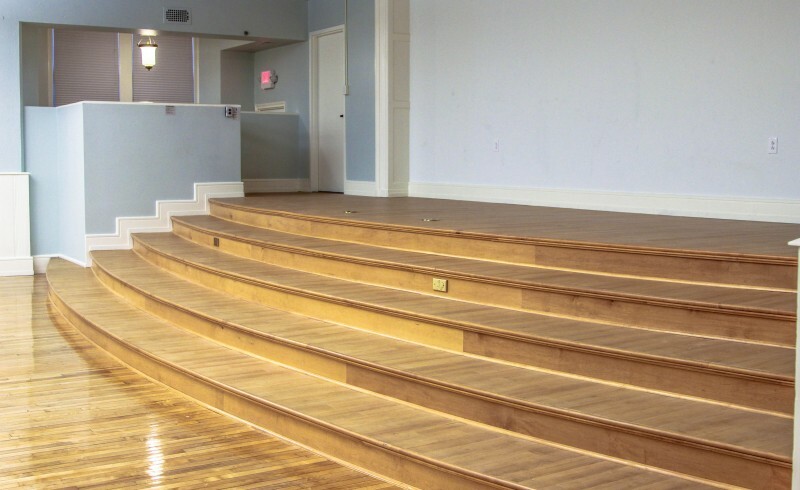 A major aspect of the project was to repurpose a little-used stage into a multi-purpose room complete with two shower-equipped ADA bathrooms and space for housing visiting groups. The church also required the use of a smaller speaking platform and state-of-the art audio-visual equipment. BPGS satisfied all of those requirements and then some! 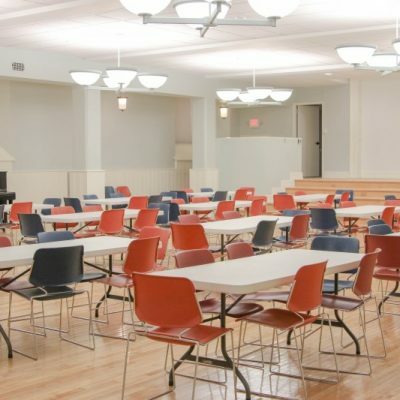 Throughout all of the construction, BPGS managed the work so that the church operation was not impaired and everyone on the job was respectful of the space and purpose. Additionally, in keeping with the mission of the congregation, BPGS hired local economically disadvantaged subcontractors when possible. Lastly, I cannot close without special mention of Beau Broadbent and Chris Terzaghi. They were on the job every minute and if called away, were always accessible and responsive. They understood the needs of the church, were often suggesting improvements and/or cost savings, and never lost their senses of humor even when things weren’t going as smoothly as they planned! First & Central considers itself blessed that BPGS was on the job!